"He died happy under the belief that though he had deeply erred, there was One whose death and sufferings would atone for his delinquencies, and be accepted for all that he had incurred;"
"I was greatly affected by the whole matter, and brought to look at life and its issue with a different eye than before; and I began to study my Bible, and preach in another manner than I had previously done." From Marazion he removed, in 1819, to Lymington, where he composed his Tales on the Lord's Prayer in verse (pub. in 1826); and in 1823 he was appointed Perpetual Curate of Lower Brixham, Devon. That appointment he held until his death, on Nov. 20, 1847. His Poems of Henry Vaughan, with a Memoir, were published in 1846. (1) Poems chiefly Religious 1833; 2nd ed. enlarged, 1845. (2) The Spirit of the Psalms, 1834, written in the first instance for use in his own Church at Lower Brixham, and enlarged in 1836; (3) Miscellaneous Poems (posthumously) in 1868. This last is a reprint of the 1845 ed. of his Poems, with "Abide with me" added. (4) Remains, 1850.
i. From his Poems chiefly Religious, 1833 and 1845. 1. Above me hangs the silent sky. For Use at Sea. 2. Again, 0 Lord, I ope mine eyes. Morning. 3. Hail to another Year. New Year. 4. How good, how faithful, Lord, art Thou. Divine care of Men. 5. In tears and trials we must sow (1845). Sorrow followed by Joy. 6. My [our] rest is in heaven, my [our] rest is not here. Heaven our Home. 7. 0 Lord, how infinite Thy love. The Love of God in Christ. 8. Omniscient God, Thine eye divine. The Holy Ghost Omniscient. 9. The leaves around me falling. Autumn. 10. The Lord hath builded for Himself. The Universe the Temple of God. 11. Vain were all our toil and labour. Success is of God. 12. When at Thy footstool, Lord, I bend. Lent. 13. When earthly joys glide swift away. Ps. cii. 14. Wilt Thou return to me, O Lord. Lent. 15. With joy we hail the sacred day. Sunday. ii. From his Spirit of the Psalms, 1834. 16. Be merciful to us, O God. Ps. lvii. 17. Blest is the man who knows the Lord. Ps. cxii. 18. Blest is the man whose spirit shares. Ps. xli. 19. From depths of woe to God I cry. Ps. cxxxx. 20. Gently, gently lay Thy rod. Ps. vi. 21. Glorious Shepherd of the sheep. Ps. xxiii. 22. Glory and praise to Jehovah on high. Ps. xxix. 23. God in His Church is known. Ps. lxxvi. 24. God is our Refuge, tried and proved. Ps. xlvi. 25. Great Source of my being. Ps. lxxiii. 26. Hear, O Lord, our supplication. Ps. lxiv. 27. How blest the man who fears the Lord. Ps.cxxviii. 28. Humble, Lord, my haughty spirit. Ps. cxxxi. 29. In this wide, weary world of care. Ps. cxxxii. 30. In vain the powers of darkness try. Ps.lii. 31. Jehovah speaks, let man be awed. Ps. xlix. 32. Judge me, O Lord, and try my heart. Ps. xxvi. 33. Judge me, O Lord, to Thee I fly. Ps. xliii. 34. Lord, I have sinned, but O forgive. Ps. xli. 35. Lord, my God, in Thee I trust. Ps. vii. 36. Lord of the realms above, Our Prophet, &c. Ps.xlv. 37. Lone amidst the dead and dying. Ps. lxii. 38. Lord God of my salvation. Ps. lxxxviii. 39. Lord, I look to Thee for all. Ps. xxxi. 40. Lord, I would stand with thoughtful eye. Ps. lxix. 41. Lord, my God, in Thee I trust. Ps. vii. 42. My God, my King, Thy praise I sing. Ps. cviii. 43. My God, what monuments I see. Ps. xxxvi. 44. My spirit on [to] Thy care. Ps. xxxi. 45. My trust is in the Lord. Ps. xi. 46. Not unto us, Almighty Lord [God]. Ps. cxv. 47. O God of glory, God of grace. Ps. xc. 48. O God of love, how blest are they. Ps. xxxvii. 49. O God of love, my God Thou art. Ps. lxiii. 50. O God of truth and grace. Ps. xviii. 51. O had I, my Saviour, the wings of a dove. Ps. lv. 52. O how blest the congregation. Ps. lxxxix. 53. O how safe and [how] happy he. Ps. xci. 54. O plead my cause, my Saviour plead. Ps. xxxv. 55. O praise the Lord, 'tis sweet to raise. Ps. cxlvii. 56. O praise the Lord; ye nations, pour. Ps. cxvii. 57. O praise ye the Lord With heart, &c. Ps. cxlix. 58. O that the Lord's salvation. Ps. xiv. 59. O Thou Whom thoughtless men condemn. Ps. xxxvi. 60. Of every earthly stay bereft. Ps. lxxiv. 61. Our hearts shall praise Thee, God of love. Ps. cxxxviii. 62. Pilgrims here on earth and strangers. Ps. xvi. 63. Praise for Thee, Lord, in Zion waits. Ps. lxv. 64. Praise to God on high be given. Ps. cxxxiv. 65. Praise ye the Lord, His servants, raise. Ps. cxiii. 66. Redeem'd from guilt, redeem'd from fears. Ps. cxvi. 67. Save me by Thy glorious name. Ps. liv. 68. Shout, ye people, clap your hands. Ps. xlvii. 69. Sing to the Lord our might. Ps. lxxxi. 70. Strangers and pilgrims here below. Ps. cix. 71. Sweet is the solemn voice that calls. Ps. cxxii. 72. The Church of God below. Ps. lxxxvii. 73. The Lord is King, let earth be glad. Ps. xcvii. 74. The Lord is on His throne. Ps. xciii. 75. The Lord is our Refuge, the Lord is our Guide. Ps. xlvii. 76. The mercies of my God and King. Ps. lxxxix. 77. The Lord Who died on earth for men. Ps. xxi. 78. Tis a pleasant thing to fee. Ps. cxxxiii. 79. Thy promise, Lord, is perfect peace. Ps. iii. 80. Unto Thee I lift mine [my] eyes. Ps. cxxiii. 81. Whom shall [should] we love like Thee? Ps. xviii. Lyte's versions of the Psalms are criticised where their sadness, tenderness and beauty are set forth. His hymns in the Poems are characterized by the same features, and rarely swell out into joy and gladness. 1. Lord, a thousand foes surround us. Psalms lix. 2. Praise, Lord, for Thee in Zion waits. Psalms lxv. 3. The Christian like his Lord of old. Psalms cxl. 4. The Lord of all my Shepherd is. Psalms xxiii. 5. The Lord of heaven to earth is come. Psalms xcviii. 6. Thy mercy, Lord, the sinner's hope. Psalms xxxvi. 7. To Thee, O Lord, in deep distress. Psalms cxlii. Sometimes given as "To God I turned in wild distress." 8. Uphold me, Lord, too prone to stray. Psalms i. 9. When Jesus to our [my] rescue came. Psalms cxxvi. These versions appeared in the 1st edition of Lyte's Spirit of the Psalms, 1834. It must be noted that the texts of the 1834, the 1836, and the 3rd ed., 1858, vary considerably, but Lyte was not responsible for the alterations and omissions in the last, which was edited by another hand for use at St. Mark's, Torquay. Lyte's version of Psalms xxix., "Glory and praise to Jehovah on high" (p. 706, ii., 22), first appeared in his Poems, 1st ed., 1833, p. 25. Read also No. 39 as "Lord, I look for all to Thee." 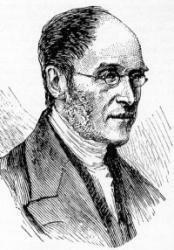 Henry Francis Lyte (1 June 1793 – 20 November 1847) was an Anglican divine, hymn-writer and poet.